I was readying myself for a game-deciding penalty shootout when a St. Elizabeth’s player came out of nowhere, ran onto a bouncing ball, and scored with only moments left in the second overtime of Wednesday’s state soccer semifinal. Hundreds of St. Andrew’s fans who spent hours in the freezing night stood silently in shock and disbelief. Confusion reigned as we watched the St. Elizabeth’s team celebrate against the backdrop of our boys, crushed, some lying on the turf, others with their hands over their faces. 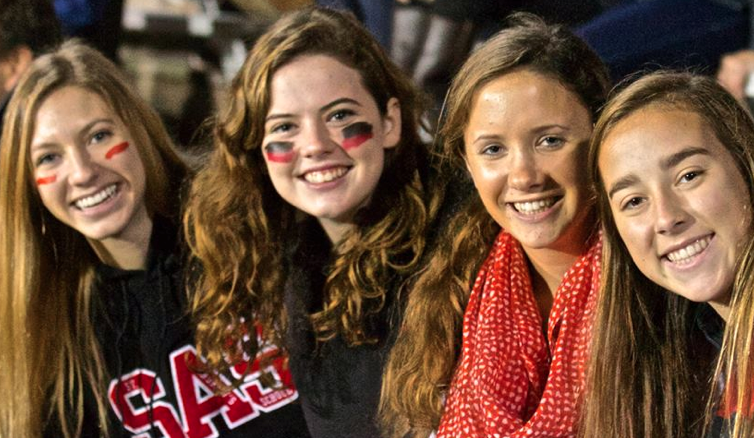 Charlotte Bristow ’14, standing near the front of the stands, turned and began leading a cheer. Her classmates quickly joined in and soon the entire fan base began cheering. It wasn’t ceremony. We were compelled to thank the boys for their effort against the #1 seed in a game they had every right to win. We celebrated and gave thanks.